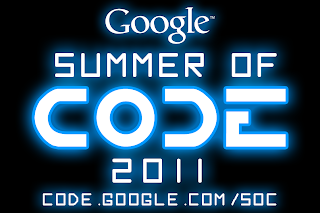 We have announced the 1,116 students that will be participating in this year’s Google Summer of Code program. Students will now start the community bonding period where they will get to know their mentors and prepare for the program by reading documentation, hanging out in the IRC channel and familiarizing themselves with their new community before beginning their actual coding at the end of May. Today, we’re celebrating Earth Day with an animated, interactive doodle on our homepage and events at Google offices around the world. At our headquarters in Mountain View, Calif., we’re holding an environmental fair for Googlers, complete with speakers and contests to strengthen Googlers’ green acumen, and a cookout using—what else—parabolic solar cookers (don’t worry, we’ll compost the leftovers). We’ve been carbon neutral since 2007 and—Earth Day or not—we’re always asking ourselves what we can do to make the world greener today than it was yesterday. This week, we launched a new website with many of the questions we’ve been asking over the years that have inspired our environmental initiatives. What can we do to make renewable energy cheaper than coal? How can we run a data center using 50 percent less energy? And what does it take to green our energy supply? It’s questions like these that led us to install solar panels on our Mountain View campus in 2007—at the time, the largest corporate solar installation in the U.S. They’re also what made us decide to donate to Googlers’ favorite charities based on how often they self-power their commute, whether by bike or by pogo stick. We hope the new website helps you start asking bold questions that lead to innovative solutions to make the world a greener place. In addition to our new site, we’ve had a busy few weeks continuing our green streak. We doubled down on greening our energy supply with our second power purchase agreement (PPA) in less than a year and made several new investments: at a solar photovoltaic plant in Germany (our first in Europe), and others in the largest wind farm and solar project in the world, bringing our total invested in clean energy to more than $350 million. While the investments won’t supply our operations with energy, we believe they make business sense and will spur development and deployment of compelling clean energy technologies. 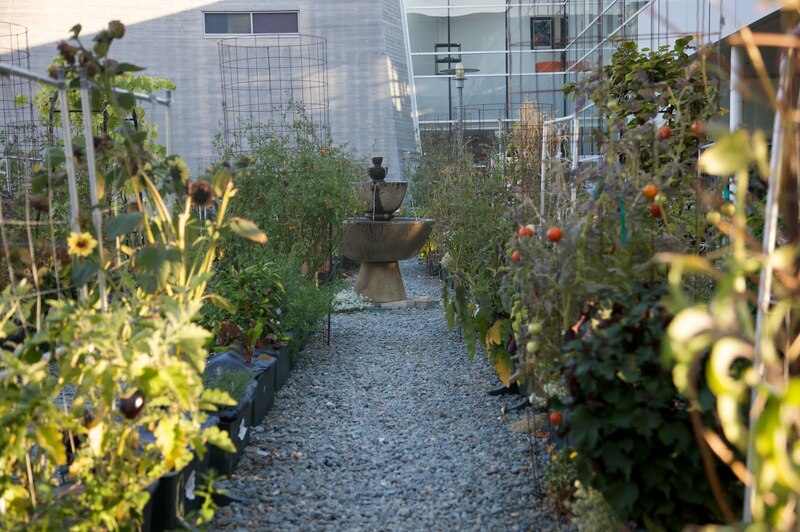 This Earth Day, we’ll continue to ask ourselves what else we can do to bring us closer to true sustainability. We hope that you, and companies across the world, will be doing the same. is TODAY, April 22nd. Also, stay tuned for an announcement of this year's Anita Borg Scholars in the next few weeks! Introduction: Natasha Nesiba is a freshmen at New Mexico State University studying computer science. In 2010 Natasha received the Google Anita Borg Memorial Scholarship and shortly after was selected to receive the largest tuition scholarship her university offers. Read on to learn what she chose to do next and how it has impacted young women studying computer science. Tell us about yourself. Where do you attend school? What sort of activities are you involved in? I am a freshman studying computer science at New Mexico State University, and I am an undergraduate research assistant for a middle school and high school outreach program called Young Women in Computing (YWiC). The goal of the program is to expose young girls to computational thinking and spark their interest in technology. Through YWiC, I am very involved in creating interactive and engaging CS curriculum for middle and high school students, organizing and conducting outreach events and initiatives, compiling and presenting research at national conferences, and mentoring younger girls. I am a very driven and focused individual, but when I am not working, programming, or doing other homework, I am playing intramural softball or spending time with my three younger sisters. What made you decide to study CS? In the summer of 2008 I was selected to participate in YWiC’s 5-week computer science summer camp, where I was first introduced to programming and basic algorithmic thinking through easy-to-use software. After that summer I was pretty much hooked. What’s most challenging about studying computer science? One challenging element would be coming up with the most efficient algorithm to solve a problem. At the same time, it is one of my favorite aspects of the field because it is where creativity comes into play. How was your experience attending the Computer Science Summer Institute at the Google Headquarters last year? In short, fabulous! I loved getting to meet and work with other students from all over the country who had very different backgrounds. We all came together to do the same thing: to learn more about what CS is all about while getting a unique glimpse into the life of a Googler at the Googleplex. The interesting and informative technical talks by Googlers, cheerful atmosphere of the Googleplex, classroom programming sessions, and other fun activities made it an unforgettable experience! Why did you apply to the Google Anita Borg Memorial Scholarship? In 2009, as a senior in high school, I attended the Grace Hopper Celebration of Women in Computing, a conference presented by the Anita Borg Institute for Women in Technology. It was very inspiring to learn about the courage and fearlessness that women like Rear Admiral Grace Hopper and Dr. Anita Borg showed as they paved the way for other women in technology. I found out about the scholarship through YWiC in spring 2010, and was encouraged to apply. When I reviewed the criteria, I was excited to discover that I fit each aspect of the scholarship. Not only was I planning to enroll full-time and major in CS at my university, but I think most importantly, I felt passionate about computer science, after learning from stories about Dr. Anita Borg and other prominent and successful women that it is possible to succeed as a woman in CS. How did you feel when you heard that you won the scholarship? I was ecstatic and a bit in disbelief, which could have partly been attributed to the fact that I was notified on April Fool’s Day! I felt so lucky and blessed to be one of the few graduating high school seniors to receive this very prestigious award. It was also one of the greatest feelings to know that I could go into my freshman year with less of the financial burden to worry about. Tell us about what you did with the scholarship money after you found out that you received a scholarship from your university. Along with the Anita Borg Scholarship, I had applied for and received the NMSU President’s Associates Scholarship, my university’s biggest scholarship. This scholarship was to cover all tuition and fees for eight semesters during my undergraduate degree. Since I had my tuition covered I wanted to give back to the program and help others succeed in CS. I approached the department head to discuss the Anita Borg Scholarship, because I knew that it deserved something special, and that it needed to be handled with great forethought. I believe the opportunity to attend college is a privilege, and to be able to give that opportunity to other students is so gratifying. My solution was to take the money from the Anita Borg Scholarship and endow a scholarship in the CS department at my university, and so the Mark Nesiba Memorial Scholarship for Women in Computing was created in December 2010. The scholarship, named after my late father, will be awarded to Hispanic female undergraduate students majoring in CS. What do you hope to do with CS in the future? I think what I like most about CS is that the possibilities are endless, and after having wonderful support and experiences, I hope to be able to work at a software company like Google. Overall though, in the future, I want to be able to use CS to make a positive difference in the lives of others. What advice would you give to women who are considering studying computer science? Update: We'd like to remind you that the deadline to submit an application for this year's Computer Science Summer Institute is TODAY, April 22nd. Also, stay tuned for an announcement of this year's Anita Borg Scholars in the next few weeks! 180 countries and regions around the world have been able to share this knowledge using Google Map Maker, a product that lets you add your local expertise for millions of users to see in Google Maps. With today’s launch of Google Map Maker for the United States, we’re excited for students in the U.S. to add that expert campus knowledge to the map and create detailed, up-to-date reflections of their universities. You can mark the academic buildings on your campus, trace the shapes of athletic fields, or move your local coffee shop to the right spot. 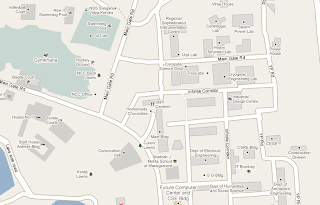 To give you an idea of exactly what other students (and alumni) have done with Google Map Maker, this detailed map of IIT in Bombay was created entirely through the contributions of the Map Maker community. Now students in the United States can add the same level of detail and comprehensiveness. Even if your campus is mapped out already, you can add paths and shortcuts across campus, or update your favorite local businesses near campus. To confirm the accuracy of user contributions, each edit in Map Maker will be reviewed, and if approved, will then appear on Google Maps within minutes. 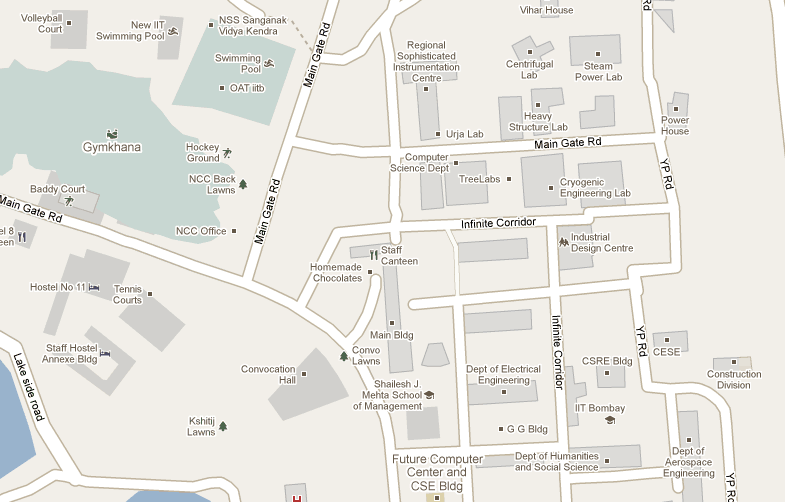 To check out real-time mapping examples by users around at world, visit mapmaker.google.com/pulse. You can learn more on our getting started site, or start mapping now at mapmaker.google.com. When a visitor asks you for directions to a building at your university, you can probably help them find any location on campus. Students in over 180 countries and regions around the world have been able to share this knowledge using Google Map Maker, a product that lets you add your local expertise for millions of users to see in Google Maps. for the third year in a row to recognize students with disabilities who have not only shown achievement in Computer Science, but have also demonstrated passion, dedication, and leadership within their studies. 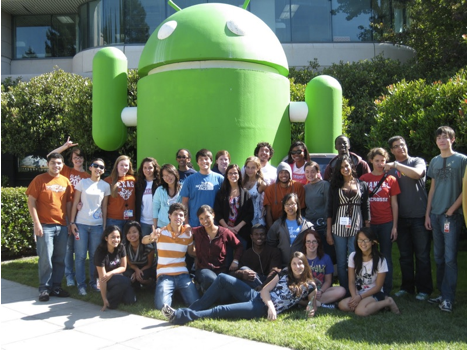 Google Lime scholars will receive an academic scholarship for the 2011-2012 school year and will be invited to attend the annual Google Scholars’ Retreat held at the Googleplex in Mountain View, California this July. Find out more about Google’s Scholarship Programs at http://www.google.com/jobs/scholarships. Google has partnered with Lime Connect for the third year in a row to recognize students with disabilities who have not only shown achievement in Computer Science, but have also demonstrated passion, dedication, and leadership within their studies. Puzzle questions will be posted daily on agoogleaday.com, and printed weekdays above the New York Times crossword puzzle. We’ll also reveal each puzzle’s answer, along with the search tips, tricks and features used to track it down. Give it a try. Let us know what you think. And remember... there’s often more than one way to search for an answer, but only one correct answer to find. Start playing A Google A Day. Think you’re the sultan of search? The queen of queries? Well, here’s your chance to find out. A Google a Day is a puzzle that can be solved by using various Google searches. The difficulty levels vary, including an occasional question designed to stump seasoned searchers. Tell us a bit about your background. Where are you from? How did you end up at Caltech? Ryan Elmquist: I live in California now, but I’m originally from Woodbury, Minnesota. I went to Caltech because I knew it was going to challenge me academically. I was also excited about continuing to play basketball in college. Finally, getting out of Minnesota into sunny southern California certainly didn’t hurt. RE: Caltech has a very small student body compared to other similar colleges. It has a really intimate atmosphere, where most of the students know each other and their professors. RE: Caltech has several campus wide parties throughout the year. They are all themed and (in true Caltech fashion) built by the students. The themes have ranged from Tron to the Wild West (complete with a mechanical bull). Why did you decide to study computer science? RE: The process of breaking down a complex problem into manageable pieces to solve is really fun. I enjoy the projects that we get to work on in class and the fast turn-around when you work on those projects. It’s not possible to see your results almost immediately in many other fields. What’s been your favorite CS class or class project? RE: I took a course on machine learning that involved a project I really enjoyed. We worked on the Netflix competition, where we were given a bunch of users’ data and their ratings for various movies. Then we had to use that data to predict their ratings on other movies. It was cool to see the techniques we learned in class translate so well to real world applications. Any advice for students considering computer science? Tell us about playing basketball at Caltech and your recent press whirlwind. RE: In the last game of my senior year, we faced a 310 game conference losing streak. While we had won several non-conference games, it had been a while since Caltech had seen success in the conference. With a few seconds left in the game, the score was tied and I was shooting two free throws. Since there was such little time left, these were probably the last shots I’d take in my college basketball career. I made the first free throw, putting us up 46-45, and missed the second. The other team missed a last second desperation shot, and we won. After breaking the losing streak, we received hundreds of emails from fans and alumni, and have been interviewed by news reporters across the country. It’s been pretty wild, but I can’t think of a better way to end my basketball career. How do you use Google products in your daily life? RE: I’m a big Gmail user. I use Google Reader to keep up to date on what’s going on in the tech world. Also, having access to Google Maps on my phone has saved me from getting lost while navigating my way through a new city. What made you want to work at Google? RE: Since Google has so many users, the scale at which it operates is intriguing. It’s fun to think about all of the users your work can potentially impact. Any big plans for post-graduation, before Google? When is your Google start date? RE: I’m graduating from Caltech a term early, so I am going to backpack through Europe with a friend. I’ve never been to Europe before, so I’m really excited. My sister is studying abroad in Germany and will be joining us once we get there. I’m joining Google on June 20th. RE: Don’t give up! I think breaking a 310 game losing streak has shown that it’s worthwhile to persevere! Today we’re featuring a Q&A with NCAA athlete and future Googler, Ryan Elmquist. Ryan speaks of his experiences at Caltech, his interest in computer science and why he’s excited to work at Google. If the Royal Wedding doesn't excite you, but modeling does, you might consider contributing to Google Earth’s offerings by using Google SketchUp and Google Building Maker. Find out more about Google Earth at earth.google.com. Also, check out the official Royal Wedding website (built and hosted on Google's own computing infrastructure - Google App Engine) for updates before the big day. For many college students, traveling to England to see the April 29 wedding of Britain’s Prince William to Kate Middleton may be just a little bit out of their price range... but don’t despair! If you’re a huge fan, but can’t attend the actual festivities, we may be able to help make it possible for you to be a virtual guest. As part of our commitment to empower the African academic community with knowledge, infrastructure and tools to help Africa’s future leaders make the most of access to information, we are delighted to have launched the Google Student Ambassador Program in Ghana and Nigeria. The program invites students enrolled in African Universities to represent Google on campus and serve a tenure of one academic year. This year, we selected 20 Ambassadors from 5 universities in Ghana. In mid-March, we invited all new Ambassadors to our Google Ambassador Welcome Day, held in Accra. The day was a mix of fun team building activities and training on various Google products and tools. Our 2011 Ghana Ambassadors were selected from Kwame Nkrumah University of Science & Technology, University of Ghana (Legon & Business School), University of Cape Coast, Ashesi University and Central University College. We also selected 27 Ambassadors from 8 universities in Nigeria. and a similar Welcome Day was held in Lagos to introduce Ambassadors to the program. Our Nigeria Ambassadors were selected from University of Lagos, University of Benin, University of Nigeria, Obafemi Awolowo University,University of Ibadan, Bayero University, Covenant University and Benson Idahosa University. The new Ambassadors revealed a sound familiarity with technology, an array of vibrant personalities and ready to make significant impact in their respective campuses. These Student Ambassadors will work closely with Google teams to organise events and help raise awareness among African Students about the opportunities and value of Google and the Internet. sur leur campus et les titularise pour une année académique. University et du Central University College. Bayero University, la Covenant University et la Benson Idahosa University. Imagine you’re a ninja, trying to master your deadly grappling hook. Or perhaps you’re a chess grand master, outsmarting your opponent’s every move. Or even a Taoist philosopher, explaining the deep truths of the world to your followers. It’s situations like these that you’ll face in Google Code Jam, our annual coding contest in which some of the best coders from around the world write programs to solve tough algorithmic problems. We believe that one of the best ways to sharpen your coding skills and stretch them creatively is through healthy competition. The intense experience of confronting a problem, conveying your solution to your computer and seeing the results emerge is a thrill unlike any other. 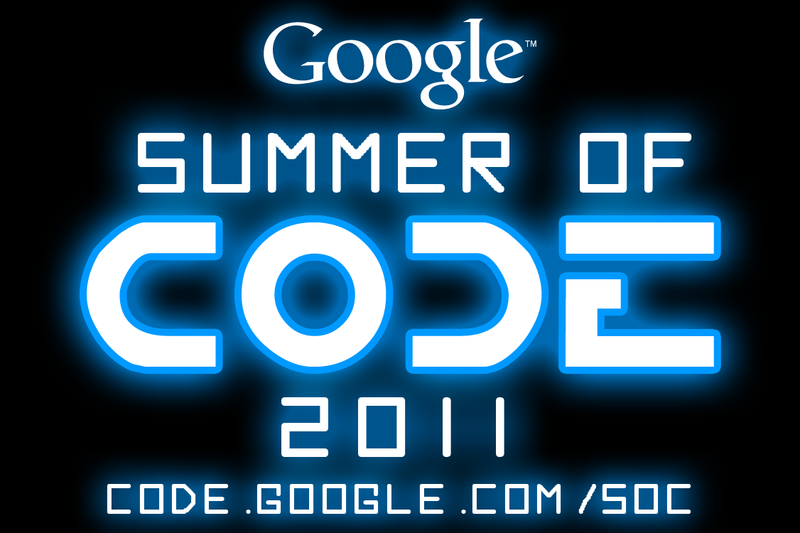 Today we’re opening registration for Google Code Jam 2011. Coding will begin on May 6 with our qualification round, where competitors will have as much as a day to plan their approach to our first few problems. From there, the contest heats up quickly: the remaining contestants will engage in several two-and-a-half hour rounds, wrangling each time with three to four algorithmic problems that range in difficulty from simple to fiendish. For each problem, you’ll wield the programming language of your choice, crafting the perfect algorithm to pit against the gauntlet of our test data. Construct your code flawlessly and you’ll be on to the next problem; solve enough problems, and you’ll make your way to the next round. If you continue to succeed, you might find yourself sitting on a flight to the finals. The challenge begins in just over a month. If you’re a killer coder and you’re ready to compete, sign up on our website; while you’re there, make sure to check out the puzzles of the past few years to get a sense of what’s to come, and to hone your skills. If you’re one of the top 25 competitors, we’ll bring you to our Tokyo office to spar against your fellow coders. In the end, only one person will bring home the $10,000 top prize—and the title of Code Jam Champion. Cross-posted from the Google Lat Long Blog.